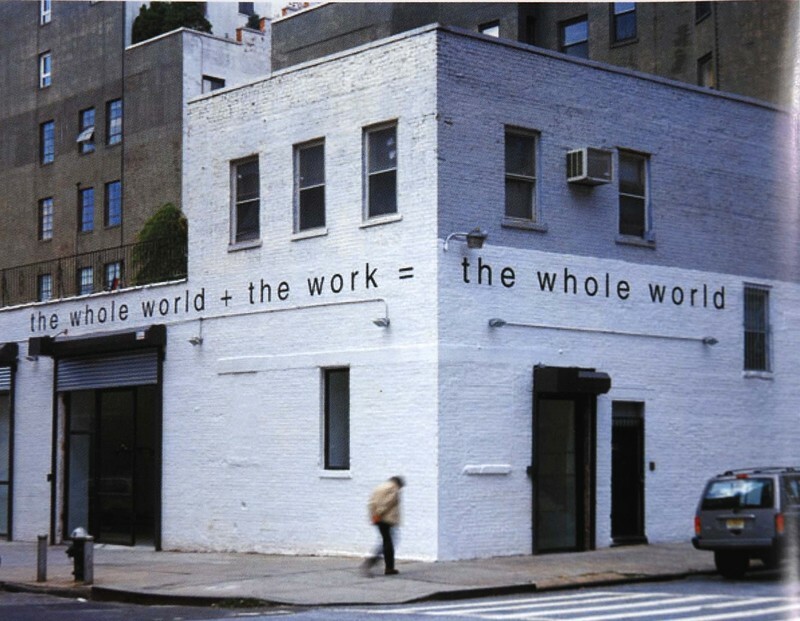 Looking at this another way, it could be argued that art (or the work in Creed’s equation) is inseparable from the world. 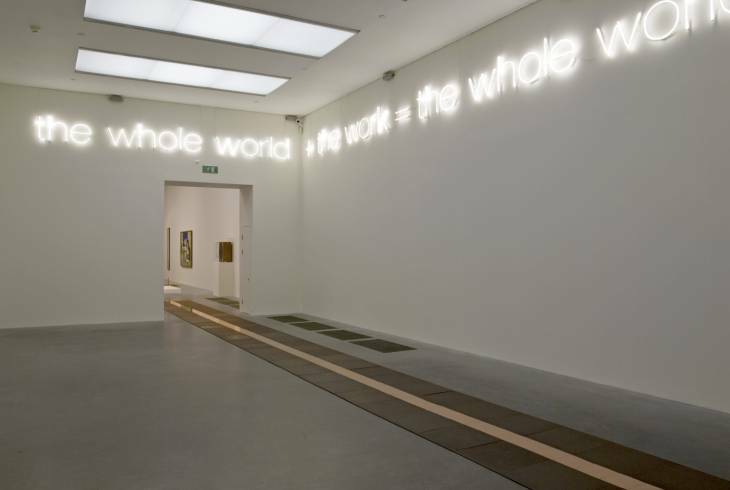 In this reading, art is a part of the world that simply can’t be subtracted from it. That seems like a better interpretation to me. Like much of Creed’s work, Work No. 232 makes me smile, makes me ask questions about both the meaning of the work and the nature of art and is quietly beautiful in its own particular way. But the questions Work No. 232 – and its painted counterpart Work No. 300 – raises are pretty big ones about art’s place in the world and for me this makes the work feel more substantial than much of Creed’s work. I choose to see this as an equation that puts art at the heart of the world and as something so integral to it that we can’t contemplate separating the two. The alternative doesn’t bear thinking about. 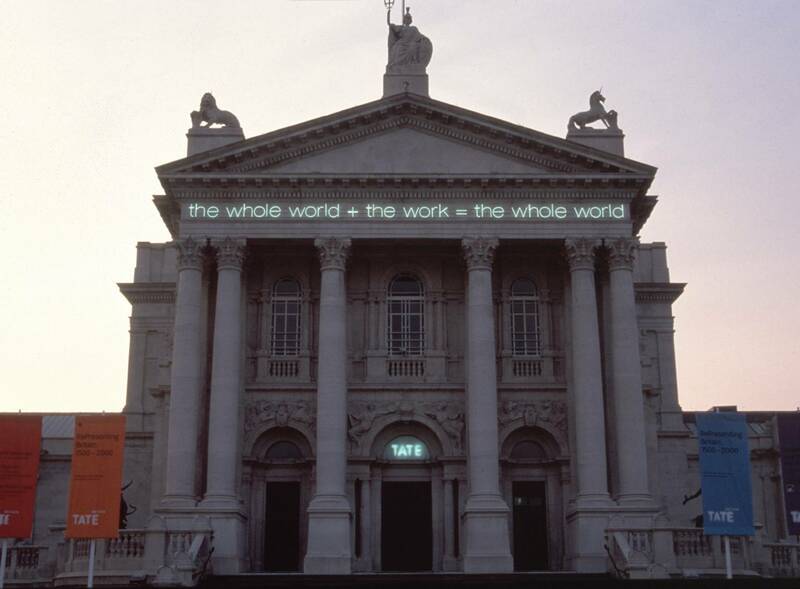 This entry was posted in Ideas, Installation, Public Art and tagged art, Gavin Brown's Enterprise, installation, Martin Creed, Tate Britain, the whole world + the work = the whole world, Work No. 232, Work No. 300 by Ann Jones. Bookmark the permalink.